Tyre review data from 41 tyre reviews averaging 87% over 147,500 miles driven. Positive - Best dry braking, good handling in the dry and wet. Negative - Average comfort, lower wet grip. Positive - Dry specialist with sporty dynamic handling, precise steering and good feedback. Balance performance on a wet track, short stopping distances, good ride comfort. 2016-10-06 - What sizes does it come in? A full list of Michelin Pilot Sport 4 S launch sizes can be found here. 2017-04-23 - Which are the differences between Michelin pilot sport 4 and Michelin pilot sport 4S? The Michelin Pilot Sport 4S is the larger, more performance orientated version of the Pilot Sport. 2017-10-03 - ust wondering where the directional indicator is on these tyres ? All I can really find is the word "outside" which seems to suggest the tyres can be run on both Left and Right sides of the vehicle.. Is this correct ? I recently had 4 tyres fitted and when I look at the tread pattern from the rear of the vehicle, the outer tread grooves slant up on one side, whilst on the other side they slant downwards.. Just checking to see if this model of Tyre is actually Asymmetrical, and when looking at the tyre pattern from the rear, they should flow in the same direction ? Overall - do Michelin make these tyres in both Left and Right variations ? or only one variation ? The Michelin Pilot Sport 4 S is an asymmetric tyre, and are mounted based on outside and inside. There are slight variations of tread directions when looking at left and right side tyres mounted, but these have no affect on performance. 2018-02-22 - How have people found the 4 and 4S for driving from cold? I have used Asymmetrics 2s which will need replacing soon and would miss the fact that they seem to have the full complement of grip from the first turn of the wheel ,wet or dry. (Car is a B7 RS4). 2018-04-23 - I have a 1-year old AMG C63 which will shortly need new tyres all round. After research I would like to fit Michelin Pilot Sport 4S tyres all round but they don't come in a size for my rears. My fronts are 255/35 ZR19 and the rears are 285/30 ZR19. Do you think it would be okay to fit Pilot Sport 4S tyres to the fronts and Pilot Super Sport to the rears? Neither tyre comes in both the sizes I need. If it is not a good idea to fit these two types what would you recommend? My car currently has Continental ContiSport Contact 5P all round but these are wearing out so quickly. My annual mileage is about 6 - 7,000 miles of which a number are not done too gently. Thanks for your assistance. I'd be more inclined to fit the PSS all round (you can get it in your front size) as I find a balanced car key to driving enjoyment. There's sadly no current plans for 285/30 R19 PS4S. 2018-07-22 - what would be the recommended camber angles for Michelin Pilot Sport 4S tires 235/45/17 for track day use on a rwd car? I know that exact number depends on car suspension etc, but can you please give me the reference point. Camber angles are so vehicle and application dependant it's almost impossible to give an accurate starting point. As with any performance tyre, using camber and pressures to ensure the tyre is heated evenly is key. My starting point would likely be a little more negative camber than the OE settings and go from there. There's no official date for 17 or 18 inch versions of the PS4S in Europe, but there are rumours it is coming! I wouldn't rely on seeing it before 2019. 2018-08-31 - I am driving a 2018 Mercedes E63s sedan. It came with Pirelli P zero tires. Even in comfort mode the car is extremely harsh for ride quality. I am looking to replace them with a set of tires that would give me the best ride quality over everything else. Is there a better soft riding tire for this car than the Michelin pilot sport 4s. Thank you. The Goodyear Eagle F1 Asymmetric 3 is regarding as a very comfortable tyre in certain sizes so worth checking out, but the 4S is the best all round tyre available at the moment. 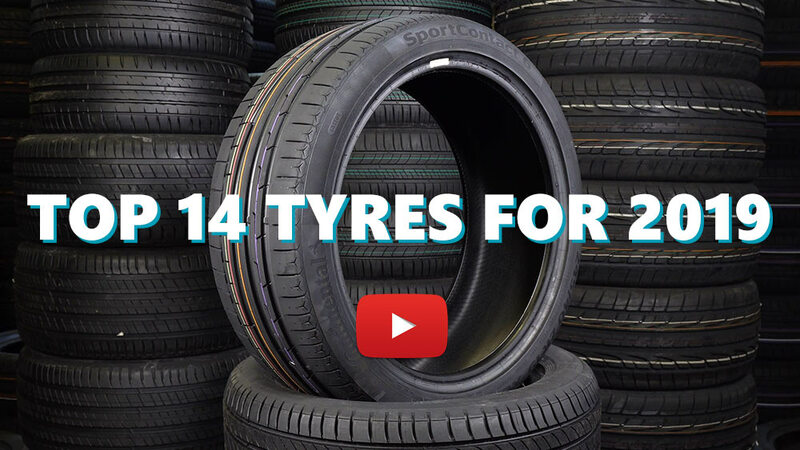 Available in 71 tyre sizes - View all. Replaced the Pilot Super Sports on my F80 M3 and it's better in every way. The wet grip is insane, it's like you're driving in the dry. Best tyre on the market. Have you driven on the Michelin Pilot Sport 4 S tyre? Please help millions of other drivers make an informed tyre choice and pick the correct tyres for their car by submitting your review of the Pilot Sport 4 S.
Absolutely Brilliant. They are one whole step better than the PS4 which I have driven in size 245/40R18 on a RWD 530d E61. The dry grip is outstanding. Very comfortable and quiet. The M550d touring comes stock with Dunlop runflats and these PS4s are just on a whole different playing field. Not to mention that the rear Dunlops both failed catastrophically by delaminating from the steel beads and bursting at 240km/h and with an age of the tyres just one year old with 4mm still left on the tread. Very happy with this tyre. Compared to the Hankook Evo's that came as standard (which weren't bad at all), the PS4Ss are much better in the wet, slightly quieter and have better initial turn in. They are a touch quieter at m'way speed. However, the best feature is the very prominent rim protection - saved the (otherwise unmarked) diamond-cut alloys on my car on two occasions. Replaced my OEM contis with these and the difference was night and day, grips better, responds better, no tramlining, quieter and a lot smoother ride. The only hesitation I had, before buying, would be price, as they are quite expensive, but now that I have them, they’re probably worth it. I generally don’t push that hard in the wet, but wet and dry grip seem to be very similar - I guess being a Quattro has something to do with this. As I’ve only driven ~5k, can’t really comment on wear, but I’m sure that they will last a lot longer than the contis.